"Well, I don't know that there is a need for a randomized prospective, double blind controlled trial when you get evidence of this sort, the value of large intakes of [censored] and also of lysine for preventing the deposition of [censored], and preventing death from [censored]." Linus Pauling and Matthias Rath Discovered the Cause of Cardiovascular Disease (CVD -- AKA Heart Disease) circa 1989. 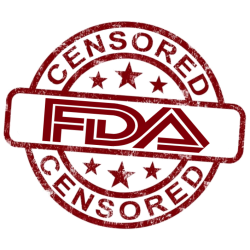 Note: The following material has been substantially revised and edited based on an edict from the United States Federal Death Administration (FDA). Linus Pauling: The leading cause of death in America is a vitamin C deficiency disease! Proof: Correspondence with Foundation's founder Owen Fonorow on the miracle effects Pauling's discovery has made in former heart patients. 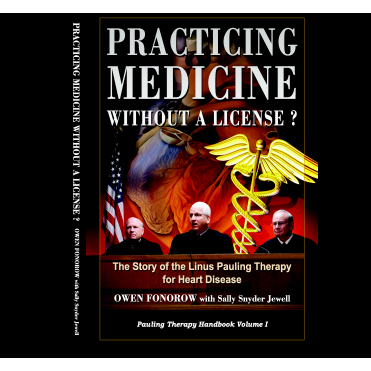 For more details, see the Pauling Therapy handbook: Practicing Medicine Without a License. Now available on Amazon kindle. More than 20 years ago, Linus Pauling and Matthias Rath alerted the world that the specific cause of [censored] is a chronic, sub-clinical vitamin C deficiency. Their elegant unified theory explains why high doses of vitamin C and lysine (aka the Pauling therapy) has been effective preventing and treating [censored]. FDA suppression has prevented this totally effective therapy from being clinically investigated by modern medicine. No medical doctors are trained in the material below, and few even know of its existence. However, the email correspondence with Owen keeps on coming. Internet sensation Jared Rand's 18 minute primer based on his personal experience with the Vitamin C Foundation's approved Pauling-Therapy™ products. Copyright 2008 by Owen Fonorow. 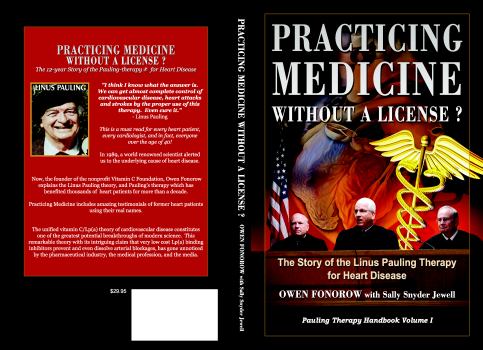 Owen's Web Site: The Pauling Therapy provides information about Vitamin C and Lysine for Cardiovascular Disease. Chronic scurvy is, after all scurvy. Until our genetic defect is rectified, we cannot escape the requirement to take vitamin C.
In our now almost 20 year experience, we have noticed that [censored] recurs after the protocol is stopped. Former, severely ill, heart patients feel completely cured and many stopped taking their high doses of vitamin C. One of the reasons for writing the Pauling-therapy handbook was to document that stopping the Pauling therapy (high dose vitamin C and lysine), because the person feels well, invariably returns the person to the condition they were in before they began the therapy. In our experience, the decline occurs consistently after about six months stopping the high vitamin C/lysine therapy. The high dosage therapy can probably be lessened over time, but we don't know by how much. (No one is studying Pauling's therapy.) Our experience makes it clear that Pauling was right when he said that vitamin C should not be stopped, even for a single day , and continuing high dosages is cheap "insurance." The recurrence problem should not be an issue for people taking these supplements for prevention and were feeling well to begin with and stop. 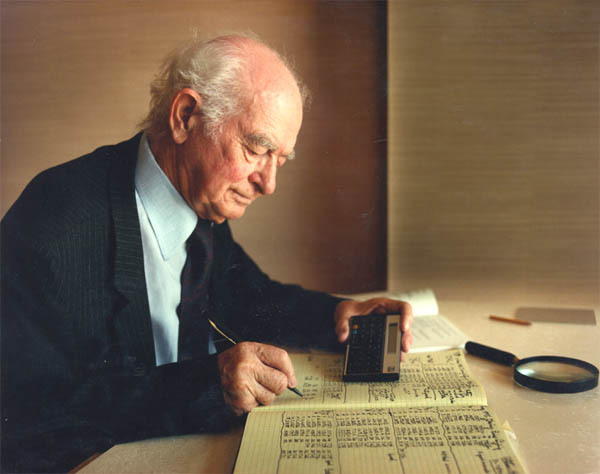 The first reports were from Linus Pauling himself (circa 1989). These were published and are presented as part of the DVD Linus Pauling video on Heart Disease: A Unified Theory of Cause and Cure. In this lecture on video, Linus Pauling himself depicts the first use of his invention, the seemingly miraculous reversals of incapacitated CVD patients. Linus Pauling his own words. Interest in the Pauling therapy grows due to the increasing number of favorable accounts of [censored] reversals. Several Lp(a) Binding Inhibitor formulas based on Linus Pauling's recommendations are available as dietary supplements without prescription. Berkley Bedell, 90-year-old former Congressman Recovers "on death bed" on the Linus Pauling's Therapy for Heart Disease. The Pauling therapy is simple. Take high doses of two nutrients that are required for life. Doing so can prevent and even cure many forms of cardiovascular and heart disease - in days or weeks. The question becomes how much should one take? We, under the auspices of the Vitamin C Foundation, submitted two study proposals to the United States National Institutes of Health, (NIH) Office of Alternative Medicine. We were inexperienced in submitting such proposals, but the NIH was free to solicit its own studies. Either proposal would have fairly evaluated the Pauling therapy on heart disease. The 2002 Study Proposal: Lowering Lp(a) with Ascorbate, Lysine and Proline. Our Grant Application to Study Pauling Therapy for Heart Disease that was submitted to the Federal NIH National Center for Complimentary and Alternative Medicine... DENIED!! These submissions (and subsequent rejections) are a matter of public record. Probably the main reason that this important discovery has been ignored is economic: Think of more than half the hospitals in your region closing. Comparing the "Lipid Theory" with the "Unified Theory"
One Pharmacist's View of Coronary Heart Disease. "Let's start by thinking about "sludge" in a plumbing system. Sludge tends to plug up the smallest pipes in the system first - not the largest. Likewise, if the system is cardiovascular, you would expect sludge (plaques) to build up first in the capillaries and arterioles, long before appearing in the carotid and coronary arteries. The first blockages, similarly, you would expect to occur way downstream of the pump, not in close proximity to the heart, where the pressure is the greatest. Yet, this is not the way cholesterol plugs up arteries. It's the exact reverse. So a plumber's take would be that something else is happening." 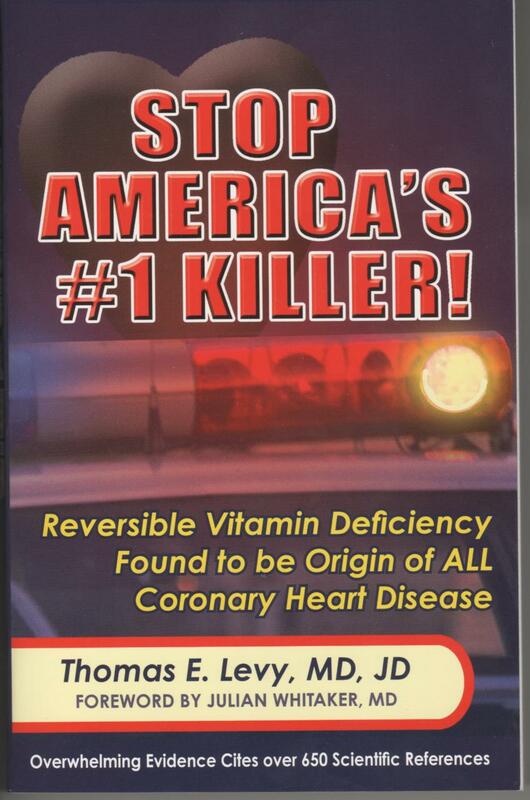 Dr. Thomas Levy's important book STOP AMERICA'S #1 KILLER is available. Dr. Levy is medical doctor and a cardiologist by training. Some time ago, Dr. Levy analyzed all 27 known cardiovascular disease risk factors. Levy discovered that they all can be reduced to a single factor - low vitamin C.
The important Levy book surveys the massive scientific evidence connecting dietary vitamin C deficiency with the cause of the circulatory condition commonly called heart disease. The disease condition is characterized by atherosclerotic plaque build-ups in arteries leading to angina, heart attack and stroke. Dr. Daniel Cobb is a physician who is familiar with the protocol and uses it in his practice. Article reprinted with permission from wellbeingjournal.com. In my clinic, we have a saying, "Heart disease is easier to treat than low-back pain." This treatment, when done correctly, works wonders. Out of all my heart disease patients, I have had only one who did not improve significantly, and that one patient did not use the recommended type of vitamin C. Another patient last year completely reversed her heart disease in 2 months." Do Statin Cholesterol-Lowering Drugs Really Prevent Heart attacks? Without discovering your website, I might not be here today! "Thanks" seems hardly adequate. 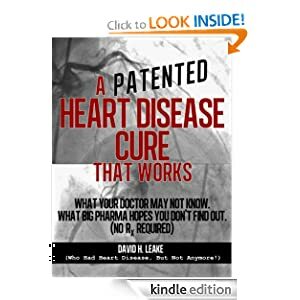 Note: Mr Leake has documented his long battle with heart disease, culminating in his doctors declaring him free of disease, in a new book about his personal experience: A (Patented) Heart Disease Cure That Works! . Here is David on youtube describing how he ended his 17 year nightmare A Patented Heart Disease Cure That Works. Lee and his colleagues tested 880 bioactive substances — including drugs and vitamins — approved by the U.S. Food and Drug Administration (FDA) to see if they stimulated the mouse stem cells to become heart muscle cells. The cells were genetically altered to give off a fluorescent bright green color when viewed under a microscope if they had become heart muscle cells. The fact that gorillas in captivity are suffering heart disease in greater number is evidence that something has changed about the gorilla conditions in zoos. It is unlikely that zookeepers would deliberately mistreat these animals, but they may be getting bad advice. Dietitians trained in the old-fashioned nutrition are giving bad advice to humans about vitamin C. Our cursory review of the zoological literature has provided an indication that so-called nutrition experts have argued that less vitamin C is required in certain primates than the amounts these animals would obtain in the wild. Some authorities have even advised that more vitamin C might possibly be harmful. This advice, related to iron intake, is bad advice. The iron source in the diet should be reduced, not the dietary intake of vitamin C.
If captive gorillas are receiving the same amount of vitamin C that zookeepers have long considered adequate, perhaps some new variable is present. The nonprofit Vitamin C Foundation is aware of several factors that reduce the bioavailability of vitamin C in humans, and it is safe to assume that these factors are at work in our genetic cousins. Either the animal food is not fresh (meaning the highly reactive vitamin is lost); the diet has been changed to include more processed foods (which would adversely affect cell membranes and thus vitamin C uptake to cells); or the process of "evolution" in zoos is allowing more gorillas that would otherwise have died in the wild to survive and have offspring. 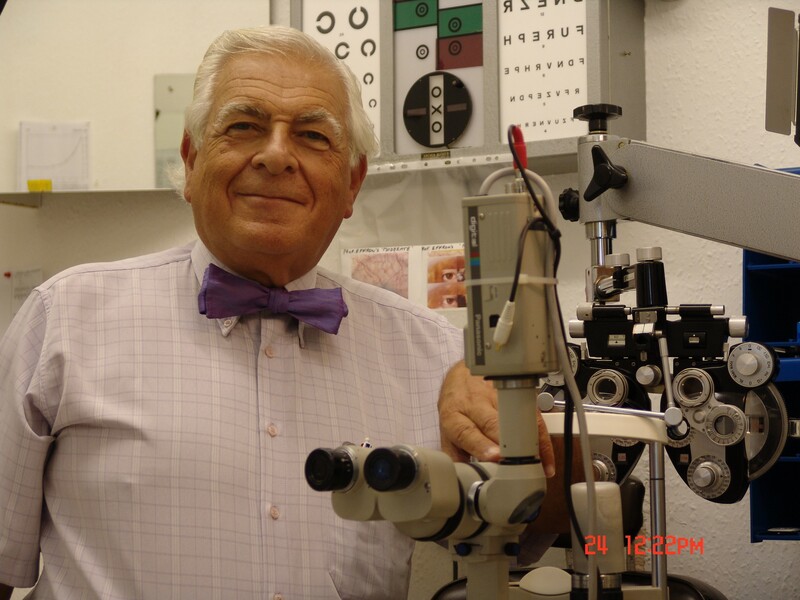 Dr. Sydney Bush, a noted British optometrist, is the founder of CardioRetinometry, a new medical field that analyzes the future health of the heart. "We are looking into life's secrets," Bush said, "When we look inside the eye - to call it a crystal ball of your future is an understatement." In addition, Bush found that vitamin C can improve that future. With Cardioretinometry, doctors can actually track how much vitamin C diminishes the amount of cholesterol in the blood vessels." Inexplicably, the mainstream has yet to investigate the Pauling therapy, but there has been research on lower dosages of vitamin C (without lysine). Prof Mishra explained: Basically, when heart patients opt for angioplasty or ballooning to remove blockages in arteries, the patients become vulnerable to a burst of oxygen consumption. The heart experiences a sudden rise of oxygen supply, which in turn triggers formation of toxins. Ultimately, the toxins have an adverse effect on heart that may lead to heart attack. But, in our clinical trails we have observed that the post-heart attack patients if administered Vitamins C and E can be protected from the burst of oxygen.. "
"The study confirms the hypocholesterolaemic effect of vitamin C and that Vitamin C has no adverse effect on serum electrolytes. It is suggested that its administration in moderate to high doses may protect against atherosclerosis and hypertension." Note the effect of even tiny doses! AMERICAN HEART ASSOCIATION'S DEADLY ADVICE: Don't Take Supplements?! 2003 Harvard: 15-YEAR HARVARD STUDY OF 85,000 FINDS SINGLE VITAMIN C PILL REDUCES HEART DISEASE ALMOST 30%. Interestingly, dietary intake of vitamin C seemed to have little effect on coronary heart disease risk. But if women used vitamin C supplements, their risk was reduced by 27 percent. According to the numbers in [this story] A single 360 mg vitamin C pill daily would save more than 300,000 lives per year. FINDINGS: Strong inverse relationship for blood ascorbate (vitamin-C) concentrations with all-cause and cardiovascular disease mortality, which were only marginally reduced after adjustment for confounders or supplement use. Those in the lowest fifth (< 17 micromol/L) had the highest mortality, whereas those in the highest fifth (> 66 micromol/L) had a mortality risk nearly half that (hazard ratio = 0.54; 95% CI: 0.34, 0.84). Similar results were found after the exclusion of those subjects with cardiovascular disease or cancer at baseline (hazard ratio = 0.51; 0.28, 0.93). In fully adjusted models, there was no evidence for an influence of alpha-tocopherol (vitamin-E), beta-carotene, or retinol (vitamin-A) on total mortality. Dietary antioxidants measured by the food-frequency questionnaire were not associated with all-cause or cardiovascular disease mortality"
2003: New Dutch finds people with the lowest amount of vitamin C in their diets were 30 percent more likely to have a stroke than people with the highest amount of it. This confirms a 2002 study with similar findings. In all these time intervals, ascorbic acid was found significantly to depress cholesterolemia and its effects persisted 6 weeks after termination of the experiment. "A three-year follow-up on a study of people taking cholesterol-lowering statins, who had a heart attack, revealed that they had a significant amount of calcium in their coronary arteries... Now even the traditional doctors are questioning the benefits of taking statins." Warning! Your cholesterol-lowering drug may be destroying your health!